Interested in taking a dance class? Calgary embraces the traditional, the modern and everything in between. There are hundreds of dance schools, academies, teachers, classes and venues in the city for training at all ages and levels. 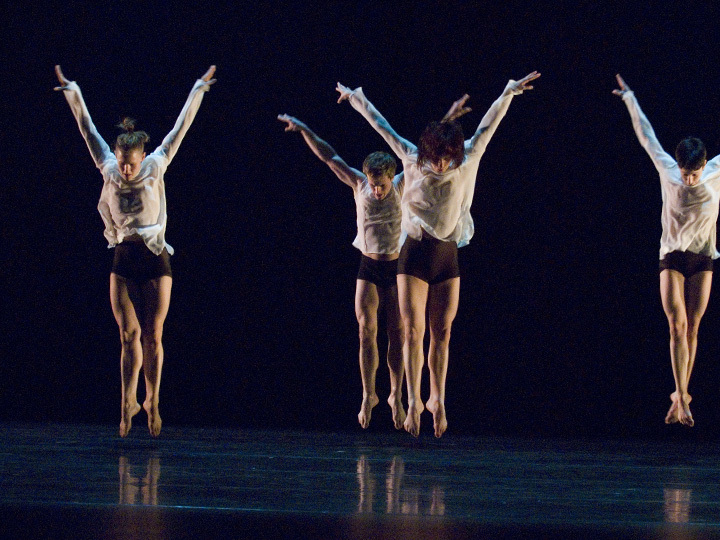 The University of Calgary even offers a bachelor’s program in dance. Alberta Ballet is Canada’s third-largest company and is the jewel of Calgary dance, internationally renowned for its moving and stunning performances. The company, at the forefront of new ballet choreography, has 31 classically trained professional dancers from Australia, Canada, England, France, Japan, Italy, Korea and the United States. Performances run from September to May at the Southern Alberta Jubilee Auditorium and on international stages. Calgary’s eclectic arts scene includes public galleries, working studios, artist-run centres, collectives and artisan shops. See our list of most visited museums and galleries in town for getting a little visual inspiration. Interested in studying the visual arts? There are many spots to sign up for training from advanced to beginner, the University of Calgary has a Department of Art while the Alberta College of Art and Design is one of the country’s premier art and design schools. Click on one of the above museums and galleries to learn more. At the Glenbow Museum, intriguing stories from western Canada connect with extraordinary art and historical pieces from around the world. It is Calgary’s premier museum, with an extensive permanent collection and world-class dynamic touring exhibits. A museum, art gallery, library and archives, all under one roof, the Glenbow boasts over one million artifacts and some 28,000 works of art, making it one of the largest museums in Western Canada. Photo: The Calgary Philharmonic Orchestra. Jack Singer Concert Hall. Calgary’s music scene transcends clichéd images of country and western twang and corporate-sponsored classical by a long shot. Those genres certainly can be found here – and are strong – but this city hits many more notes with an eclectic roster of musical events and festivals, local bands and kicking venues. The National Music Centre (NMC) at Studio Bell opened in the summer of 2016 in Calgary's downtown East Village, providing a home for music in Canada. NMC is a national space for Canadians to explore, celebrate and honour the power of music. Arts Commons is home to six resident companies and the world-renowned Jack Singer Concert Hall (pictured on the left). The Jack Singer Concert Hall is the venue of choice for a variety of music events presented by Live Nation, and is home to both the Calgary Philharmonic Orchestra and Arts Commons Presents programming, including BD&P World Stage, TD Jazz, and Classic Albums Live. Local and international musicians could be performing on any given night. Catch a folk singer with a guitar at Ironwood; dance the night away to a touring DJ at the HiFi club; or go all out and blow the roof off of the Saddledome at an arena rock concert. Photo: Thievery Corporation at Prince's Island Park. 2013 Calgary Folk Music Festival. Photo by David Kenney. From the inspiring National Music Center to innovative home studios, Calgary’s music sector is made up of a diverse array of businesses including educators, songwriters, creative and rehearsal spaces, composers, agents, managers, publicists, labels, events, recording, production and live music venues, covering every genre from country to hip hop. Calgary has dozens of theatre groups, and the city has long supported local live performances. Arts Commons is the downtown hub for all things creative and performed, and is home to a number of professional theatre companies, including Theatre Calgary, Alberta Theatre Projects (ATP) and One Yellow Rabbit. If interactive murder mystery dinners are your thing, Pegasus Performances is the resident theatre company at Fort Calgary and has a wide range of options for varying group sizes and budgets. Stage West offers another opportunity to play with your dinner, featuring a 120 item buffet included with every performance in their 400 seat theatre. They bring you some of the greatest entertainers from television, movies, the stage and the music world.